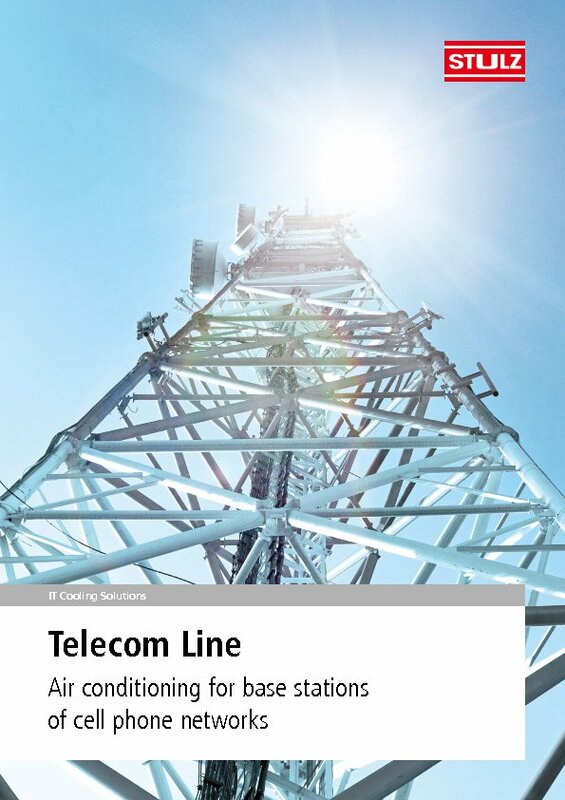 To considerably cut the running costs of base stations, they can be retrofitted with the STULZ Free-Air Free Cooling unit. Energy efficient Free Cooling solution that can be retrofitted in existing systems. The return on investment for the retrofit is achieved especially quickly in base stations, where comfort air conditioning units are running 24 hours a day. The Free-Air units are plug and play and therefore immediately ready for connection and use. With Free Cooling, the units achieve savings of up to 96 % on running costs. The units are available in two versions for maximum versatility – FCL-IN for indoor installation and FCL for outdoor installation. The FCL is installed outside the container, so that the entire interior space can be used for IT equipment. Full access from the outside for maintenance purposes. The Free-Air units are monitored and controlled by the C102 microprocessor. Comfort air conditioning units can be integrated in the existing air conditioning system and also actuated by the C102 controller. WIB 1000 is user-friendly and offers easy data exchange, monitoring and worldwide suitability.